Don't think you can make it? No worries, watch the Livestream! So what's with all this TEDx chit chat? Trust us, you want to be in the loop. 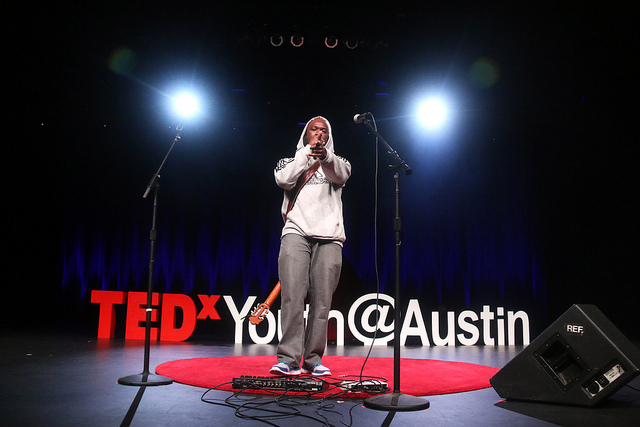 What is so unique about the TEDxYouth@Austin event? 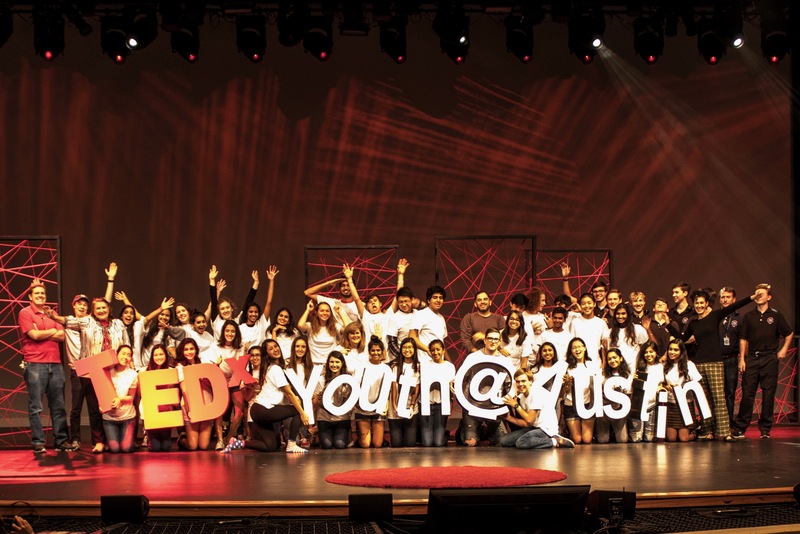 TEDxYouth@Austin is organized and produced by a dedicated team of youth leaders with key oversight from experienced adult mentors. 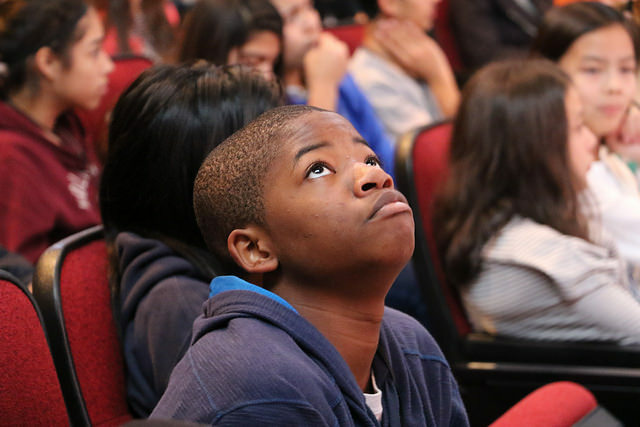 Unlike most other youth events, TEDxYouth@Austin brings together students from all demographics in a non-competitive atmosphere. 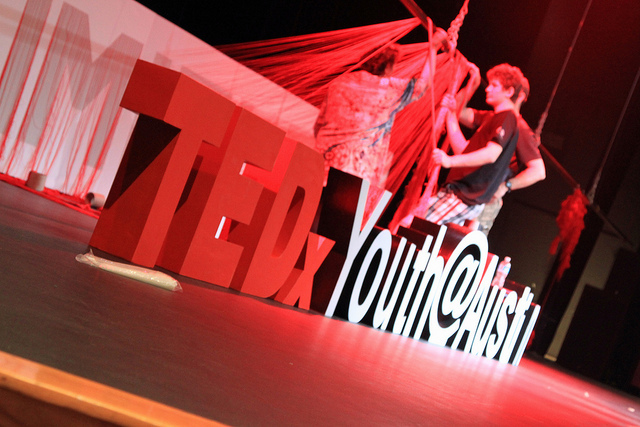 Our event is both one of the first and largest TEDxYouth events in the world, and we continue to grow each year. Attendance to TEDxYouth@Austin is completely free, and in exhange, our attendees commit to 4 hours of community service. We believe that our event has the ability to change the way today's youth- the leaders of tomorrow- engage with the world around them. Our attendees hail from 80 different schools from the Central Texas Area, all traveling to our hometown of Austin for our unique experience. 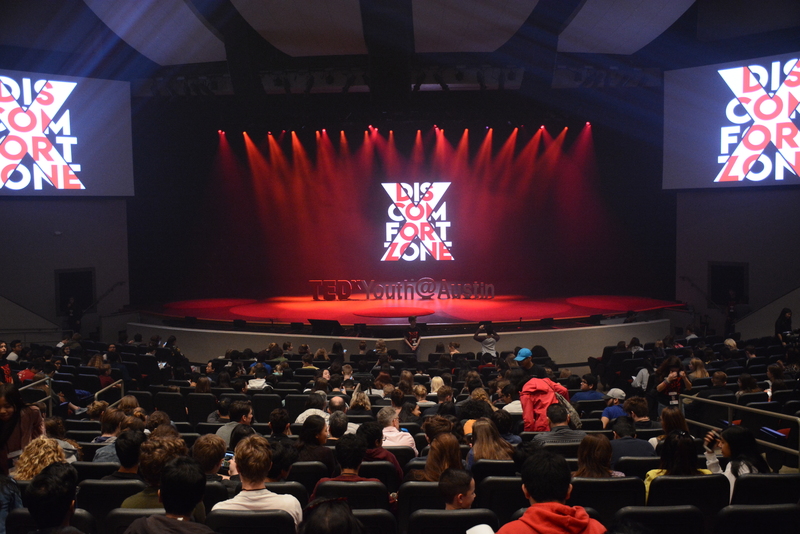 TEDxYouth@Austin attracts around 500 attendees each year. Our campus ambassadors represent the TEDxYouth@Austin team in middle and high schools all over the Central Texas Area. "Comfort zones are most often expanded through discomfort." "We don't accomplish anything in this world alone... and whatever happens is the result of the whole tapestry of one's life and all the weavings of individual threads form one to another that creates something." "You know, if you hang around this earth long enough you really see how things come full circle." "Ninety-nine percent of who you are is invisible and untouchable." "Wise to resolve, and patient to perform." "The number of ways you can live in one lifetime is limitless. So why limit yourself? The sky is NOT the limit. Beyond the universe is."